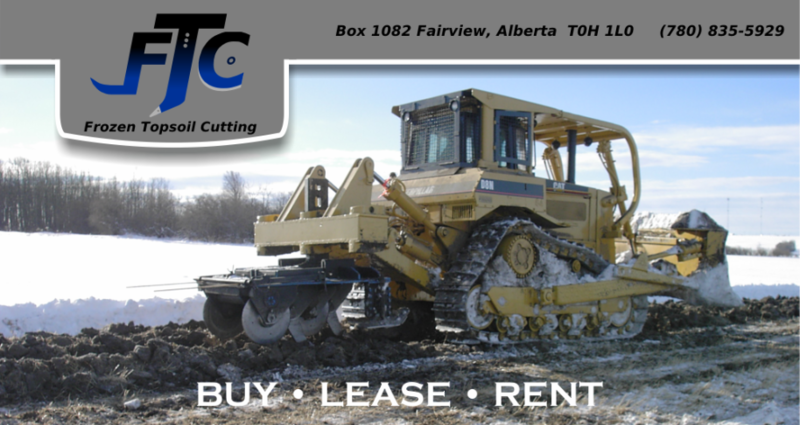 Products - FTC - Frozen Topsoil Cutting Ltd.
FTC is a versatile attachment that quickly replaces conventional rippers on dozers. FTC can be used to fracture topsoil and subsoil on pipelines and lease sites or any disturbance area where topsoil must be salvaged under hard ground conditions. FTC is used mainly under frozen ground conditions but may also be used on dry hard ground. In 1993, the government made regulatory requirements and increased enforcement in the conservation of topsoil. FTC was invented to enhance soil salvage on cultivated land. FTC also minimizes topsoil degradation and maximizes topsoil conservation. Does FTC have any environmental or other advantages? Simply put - YES. FTC effectively separates the topsoil from the underlying subsoil (clay) to ensure that the quality and quantity of the material is maintained, thus creating smaller frozen topsoil aggregates which are more easily managed. Small aggregates of subsoil save time and reduce setting on cut and fills. FTC is 20 - 50% faster than conventional ripping techniques by allowing multiple lift stripping because the depth adjustment skis minimize the possibility of operator error and eliminates over-stripping of topsoil or subsoil. FTC provides contractors with a competitive advantage by increasing quality of salvage and reducing time, cost and reducing wear on equipment and operators. Are there any other facts or benefits to FTC? Discs are designed for extended wear. Teeth, discs and shanks are easily removed and replaced onsite. FTC fits any bulldozer, quickly and easily. The FTC can be adjusted to cut between 5cm and 25cm. To purchase, lease or rent, please contact us at 780-835-5929 for current availability and pricing. © 2010 Frozen Topsoil Cutting Ltd, All rights reserved.